The Roush Performance road racing team has announced that it will be switching to the Pirelli World Challenge series GTS class for the 2014 season with Jack Roush Jr. in the driver’s seat. The team has competed in Grand-Am’s Continental Tire Sports Car Challenge since 2009, finishing second overall in the standings in 2011. The Ford Mustang hasn’t had too much success in the Pirelli World Challenge recently, with only a handful of wins the past couple seasons in the GTS class. 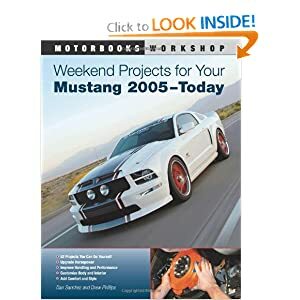 The Mustang had previously been dominant, though, with Tiger Racing’s Paul Brown winning five races on his way to capturing the 2011 championship. Roush hopes to help the Mustang return to success in the series. “Given our rich heritage in both racing and the automotive industry, it’s a great fit for us to race in the Pirelli World Challenge,” says Roush Jr. The livery for Roush’s new Pirelli World Challenge race car debuted at the SEMA Show in Las Vegas on Roush Jr’s personal demo car, a Stage 3 Mustang with a Ford Racing Aluminator crate engine and Phase 3 supercharger system. The team will make its official race debut at the Honda Grand Prix of St. Petersburg from March 28-30, 2014.